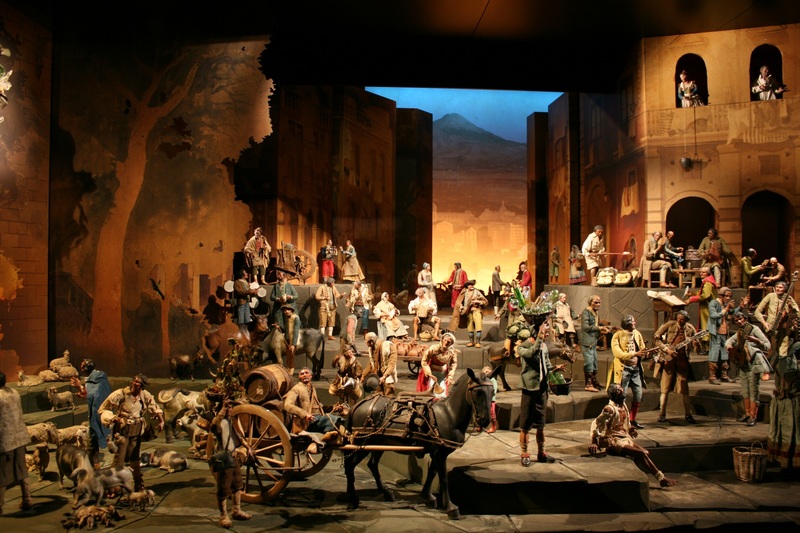 A museographical proposal for the narrative, design and audiovisual productions for the new hall to permanently house the collection of more than 700 pieces from Neapolitan Nativity Scenes belonging to the National Museum of Sculpture in Valladolid. 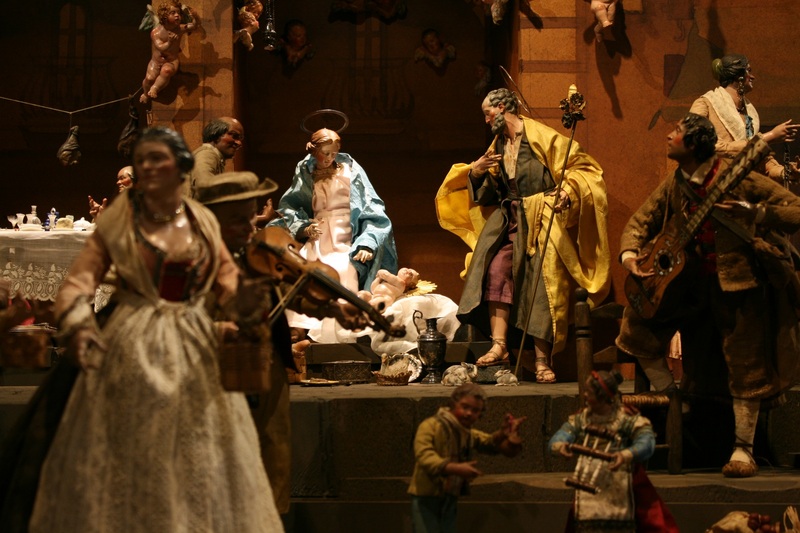 The Neapolitan Nativity Scenes from the National Museum of Sculpture constitute a unique collection of antique pieces of great historical value. 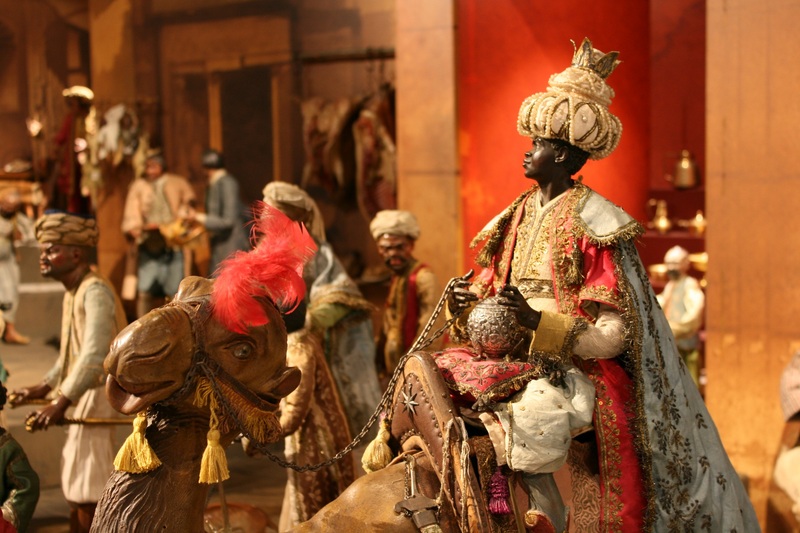 Yet the circumstance prior to the museographic project did not allow for highlighting the richness and the value of the works, exhibited along with a large number of unauthentic elements. 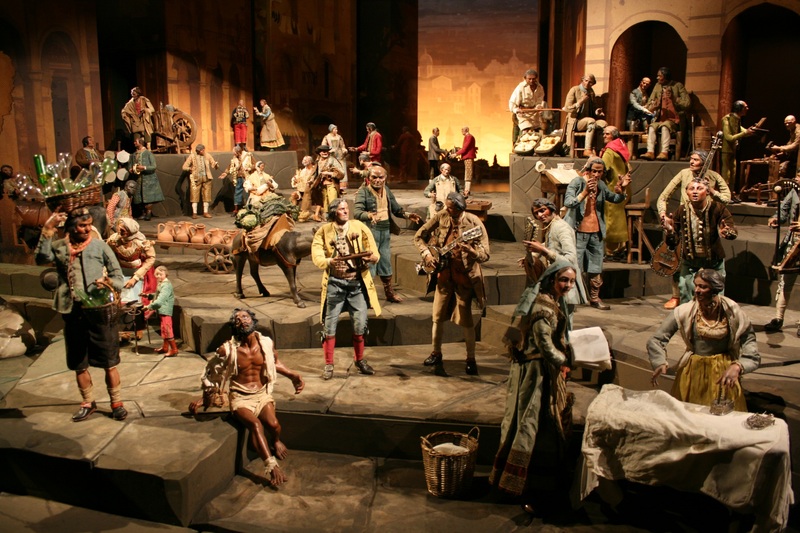 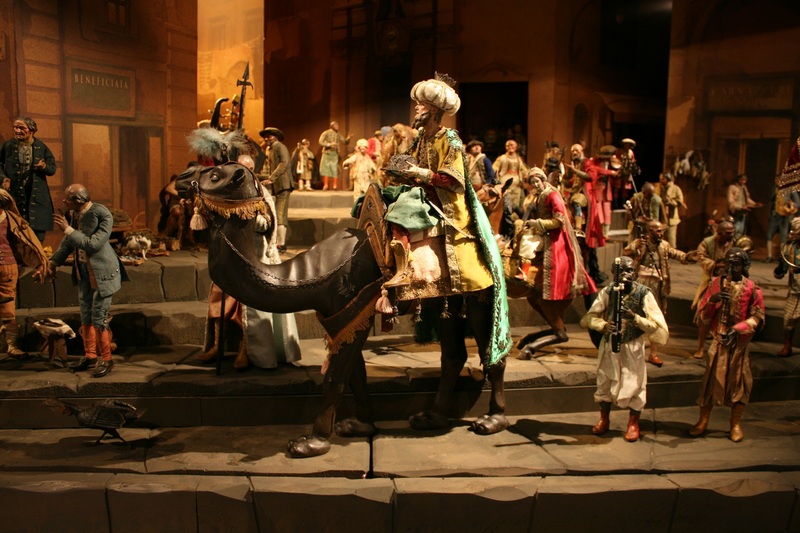 One of the most important characteristics of the Neapolitan nativity scenes is that they not only have a decorative and ritual function, they also stands out for their ethnographic qualities. 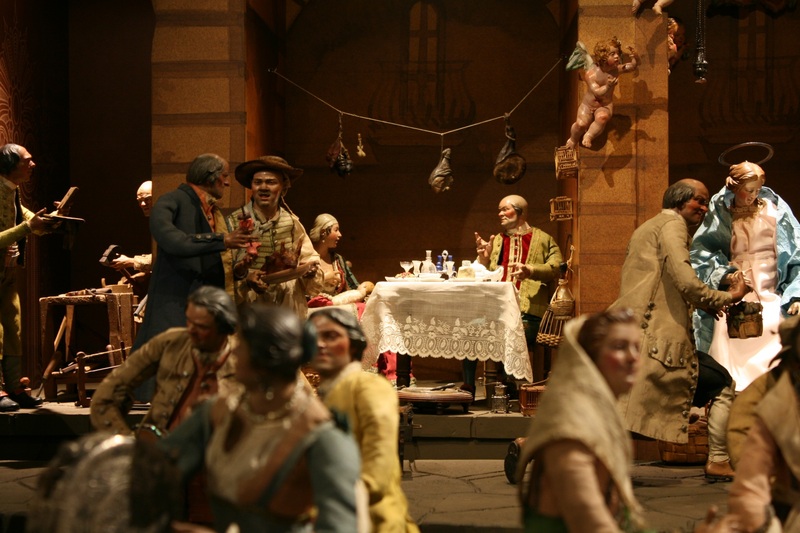 Their heterogeneous appearance, typical of the Baroque, is not only due to the artistic style of the time: it also represents the vitality and bustle that make the city of Naples famous. 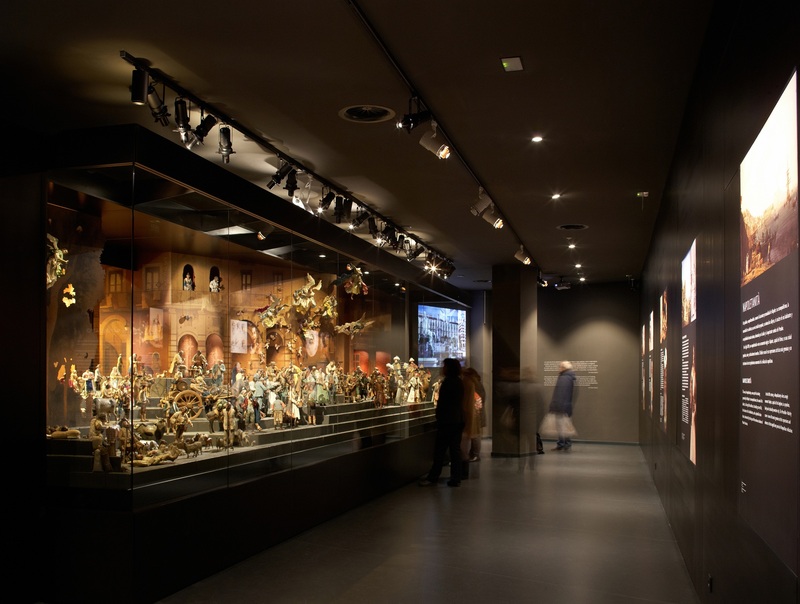 After changing how the pieces are exhibited, we refurbished the room and designed information panels to explain the entire history of the collection. 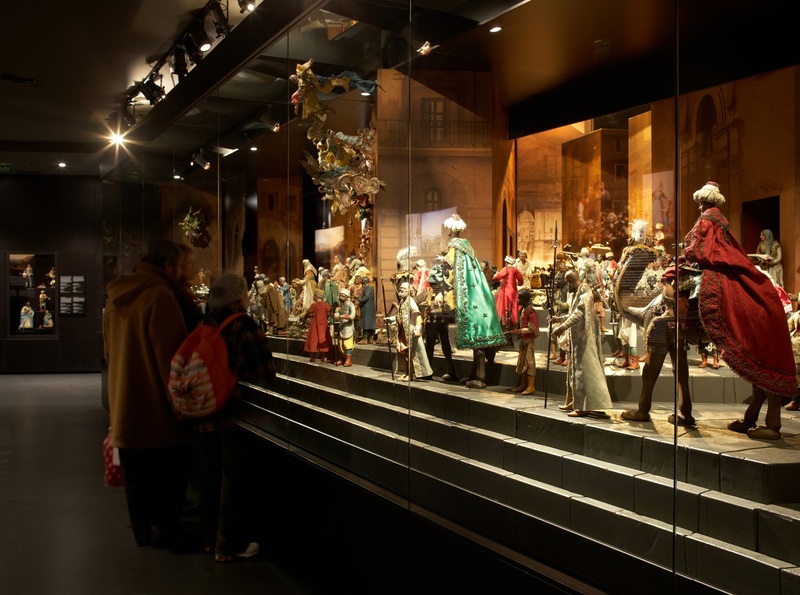 In order to fulfil the conservation requirements, we built an enormous base with large glass panes and a structure that was difficult to resolve, since it had to avoid interrupting the scenes depicted. 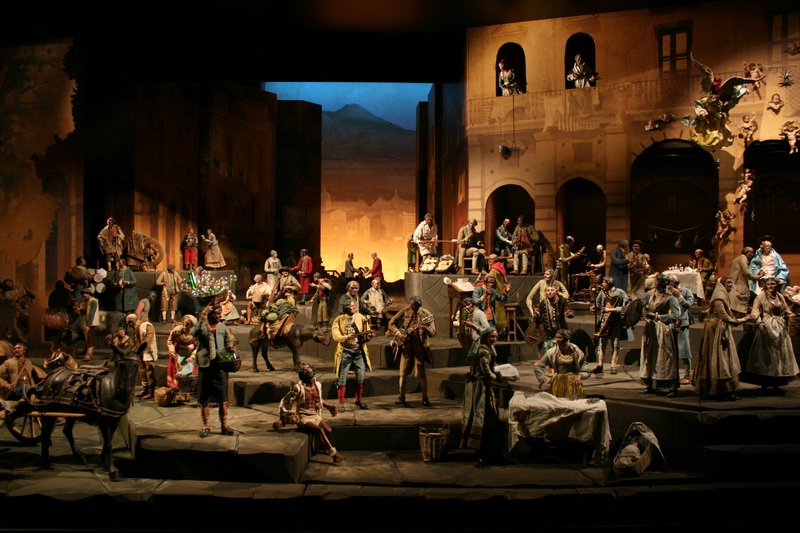 This story culminates with the screening of an audio-visual piece, for which we travelled to Naples to dedicate one day, 15 November 2015, to filming scenes of everyday life in the city. 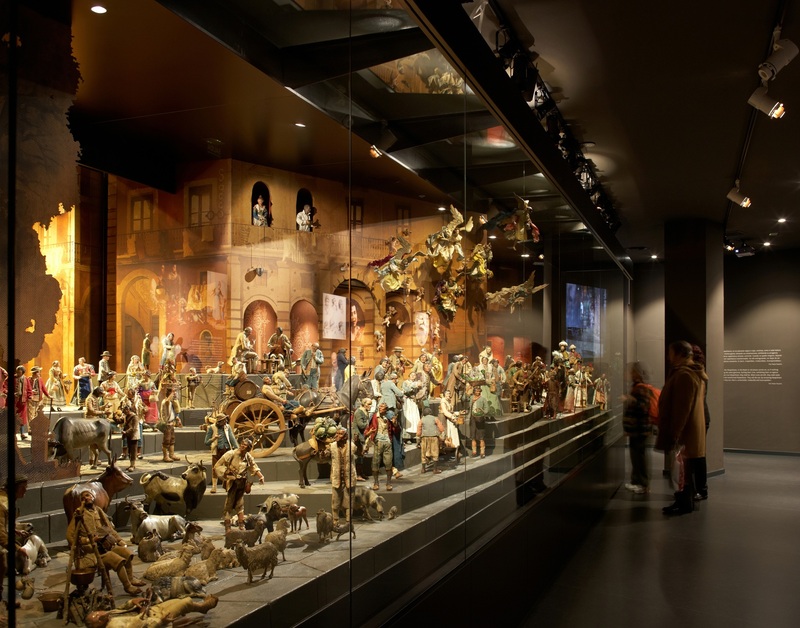 In this way, visitor could compare the scenes from the audio-visual display with those depicted in the nativity scene, recognizing characteristic faces and gestures that are still present in today's society.